Your pregnancy is just about to transition into its third trimester when you get the news; you’ve been diagnosed with gestational diabetes. Now what? You’re probably feeling scared and worried. You’ve likely already been told that gestational diabetes increases the likelihood that your baby will be bigger. It also comes with other risk factors for your baby and your delivery. Will this affect my delivery? Will I be diabetic after the pregnancy is over? Only your healthcare provider can give you the answers to these questions, but if you want to know if there’s anything you can do to help the situation, the answer is yes. Over the coming weeks and months, you’re probably going to be heading into a diabetes clinic so that you can meet with a dietician and an endocrinologist. 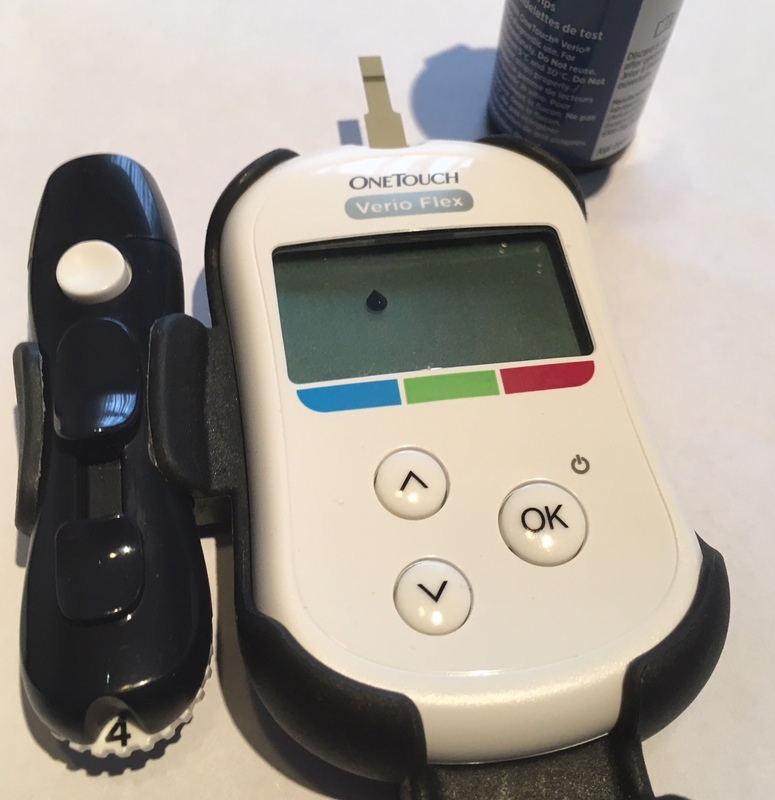 You will be asked to track everything you eat and drink, and you will be asked to test your blood sugar with a blood glucose monitor. Your dietician will advise you on what you should be eating and how often and will use the Canada’s Food Guide as the template. Your endocrinologist will be monitoring your weight gain, blood sugar and your urine for signs of ketones. Extra ultrasounds will likely be ordered as well so that the size of your baby can be monitored. The closer you follow the instructions from your dietician and endocrinologist, the better. Many women are able to maintain satisfactory blood glucose levels and don’t need insulin or metformin, but if you do need those medications, it’s still a good idea to follow any dietary advice because it’s healthier for you and your baby. Remember that your risk of complications increases if your gestational diabetes is not managed through diet and exercise, or medication. It can be really frustrating to prick your finger several times a day, and it can be really challenging to be so strict about your food intake. Tracking all of it may become monotonous and it may seem pointless, but good information gathering is essential to properly track your health. This information will be used by your medical care team to make decisions on how to proceed and what interventions you might need. Even though you’re doing everything your care provider suggests, you will still have to endure the peer pressure from those around you who say, “One more cooking won’t hurt you!” It can be difficult enough to deal with your own willpower, never mind others trying to entice you. You may or may not feel comfortable disclosing your health status to others, so the easiest thing to do is to make sure you have your healthy snacks with you. You can munch on those instead and people may be less likely to offer you unhealthy food if they see that you are already eating, and if you aren’t hungry, then you’ll be more likely to make better food choices. If you do end up giving in to temptation and having that dessert, follow it up with a brisk walk. Exercise will lower your blood sugar. When women wake up with high fasting blood sugar, they often start their day with exercise. Pregnant women should be getting 30 minutes of exercise a day regardless of whether they have gestational diabetes or not, provided their medical care provider has told them that it is safe to do so. Gestational diabetes can be overwhelming so find a supportive person to talk to about what you’re going through. Reward yourself for your good behaviour by taking a nice bath, reading a good book or taking yourself for a pedicure.